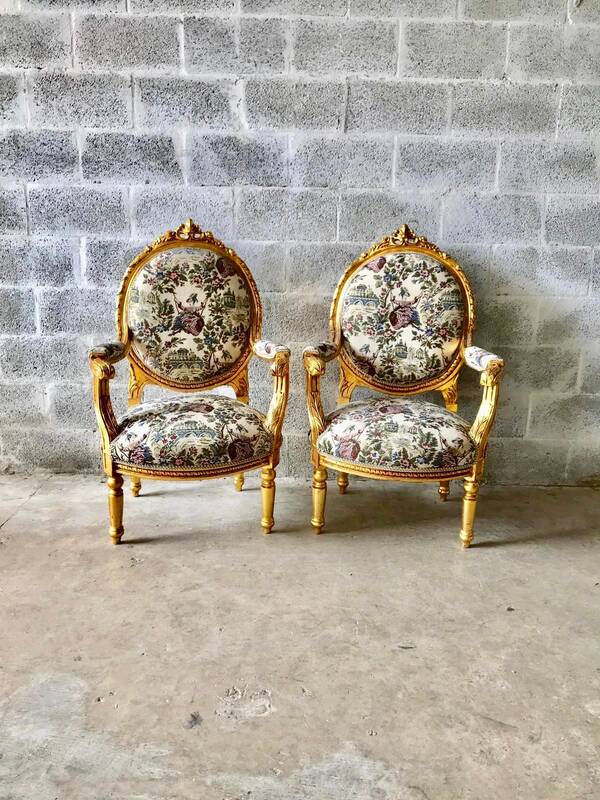 Both chairs were were purchased at auction. 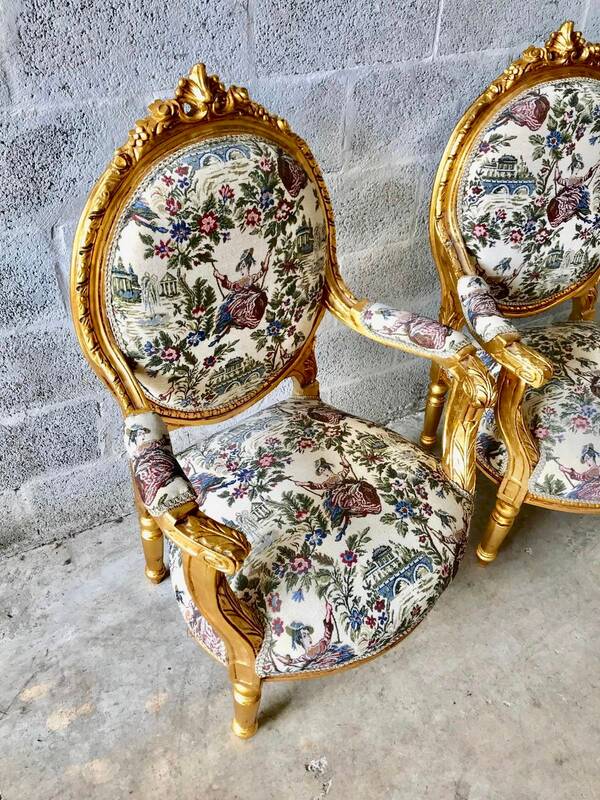 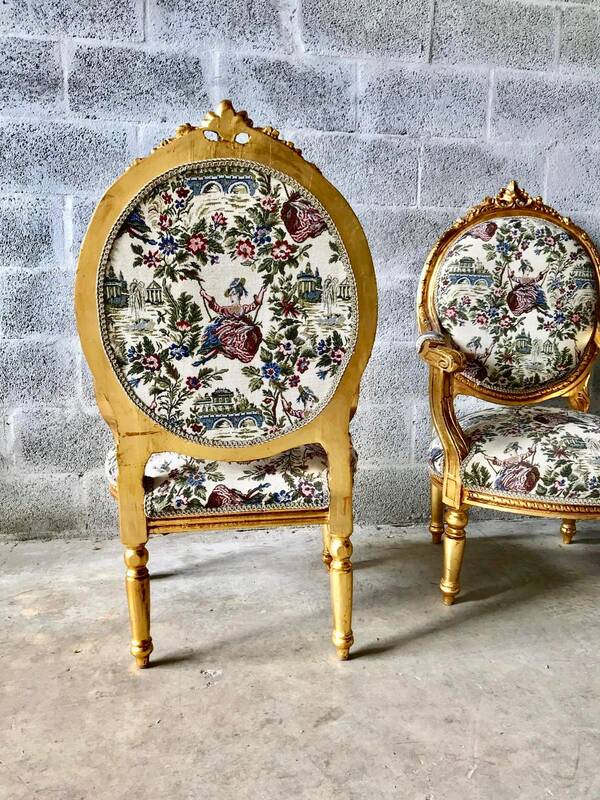 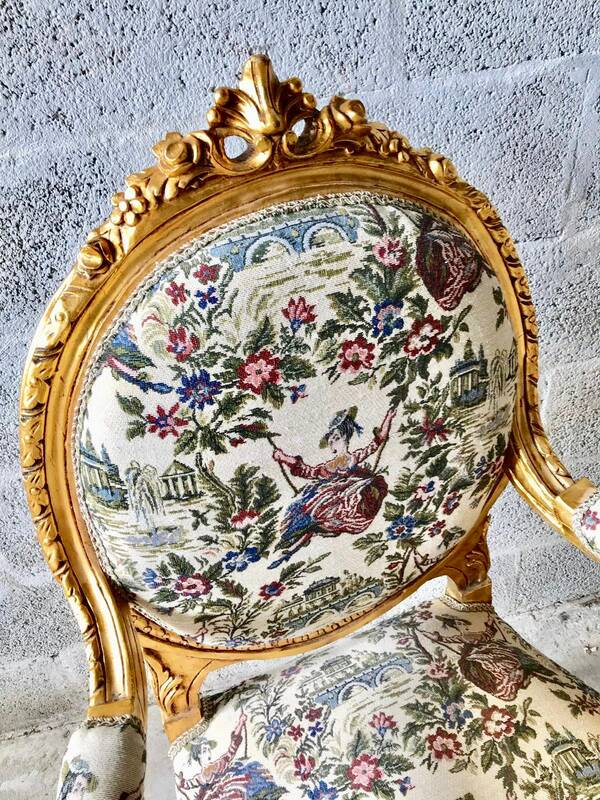 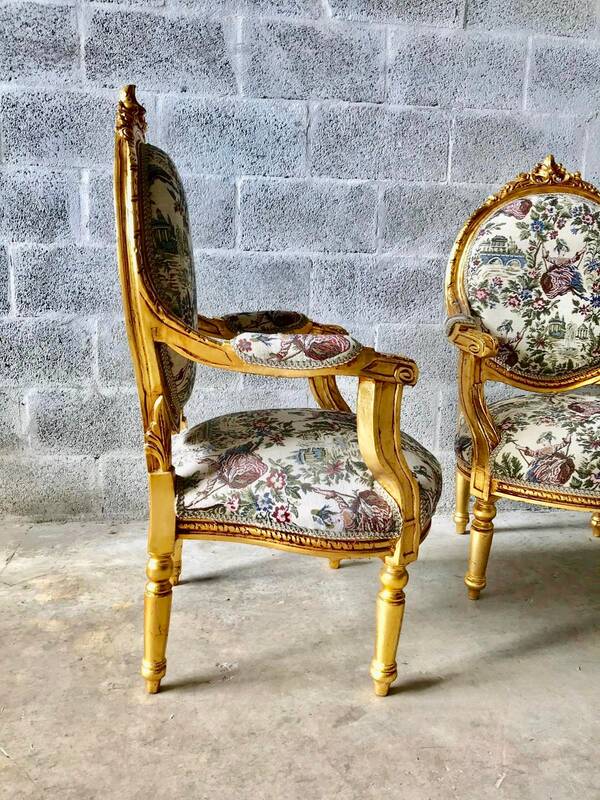 They were refinished in gold leaf and reupholstered in high end french fabric showing beautiful gardens. 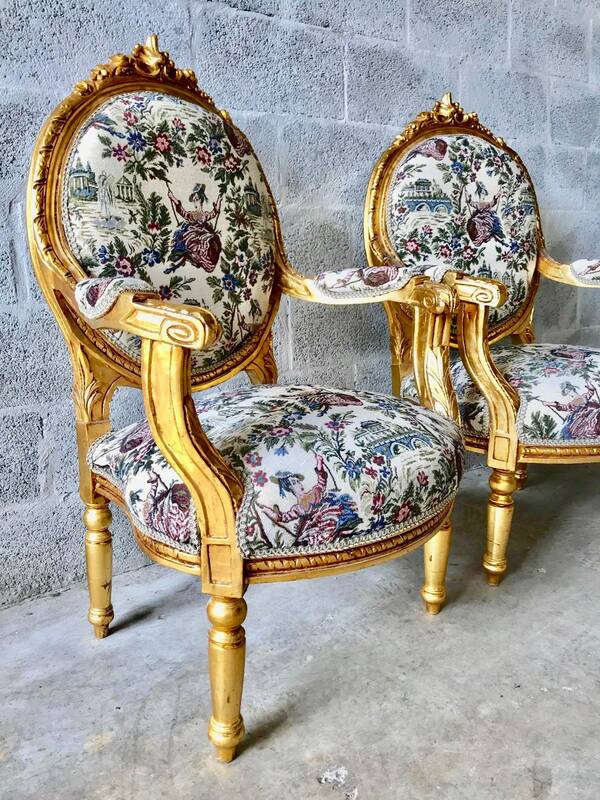 Very sturdy and comfortable for everyday use. 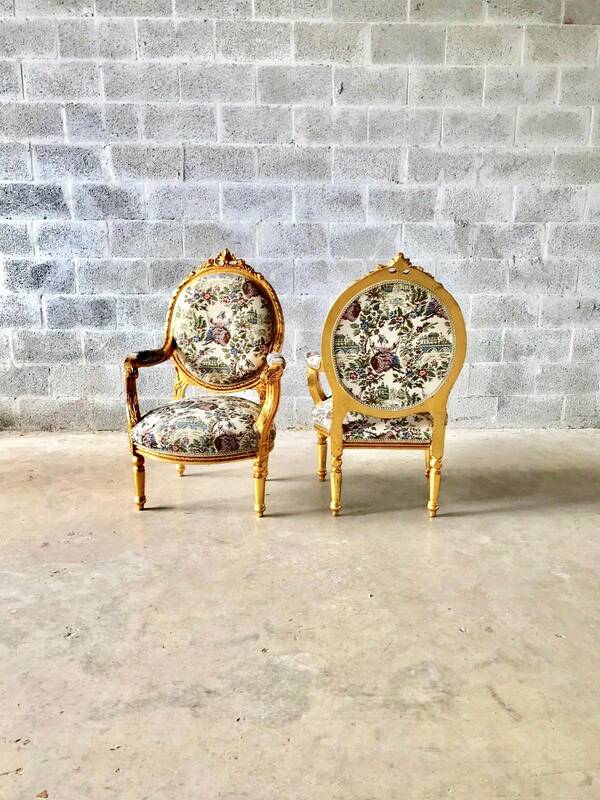 Willing to split them.